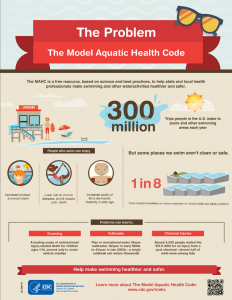 The agency has recommended that states, municipalities, and swimmers (and their parents) press officials to ensure that public facilities are hygienic, safe, and well-maintained, especially through rigorous, regular health inspections. It’s always worth reminding parents and families about the importance of ensuring that kids, as soon as they are able, get water safety training and drown-proofing. Lawsuits, sadly, have played a part in improving pool safety, including in getting manufacturers to better protect youngsters from injury and death with equipment defects such as cleaning systems with powerful suction that can drag even able little swimmers under water.